We are facing some stressful things here on the home front. I hope you will keep my family in your prayers. I can’t go into details at this time but praying for good news soon. Dorothy St. James will be my guest for Cozy Wednesday this week! Connie Archer will be my guest next week for Cozy Wednesday! Sorry about the stress you family will be facing. I read Starting Now last week and enjoyed it. Thinking kindly of you and yours Lori. My thoughts and prayers are with you during this time. Hope the bad times pass soon. I know about the stressful weeks, Lori! Praying you make it through! Happy reading, my friend! Sorry about the stressful times. My thoughts and prayers are with you! I read “Starting Now” by Debbie Macomber, and loved it! Sorry to hear about the stressful times in your life right now. I hope all works out well. Find those books with happy endings and dig in! I really loved Tuesday’s Gone…and want to read the new Macomber book. Thanks for sharing…and for visiting my blog. I’ve heard good things about Nicci French, can’t wait to see your review on that one. Another great week of reading, yahoo! I took a peek at your March wrap-up post as well…way to go! I’m praying right now for you and your family. I will keep your family in my prayers! Best wishes to you and your family. I hope you’re able to make it through whatever hardship has come your way. The Good, the Bad, and the Witchy sounds like a fun, light read. Thoughts are with you Lori! Sending hugs your way! 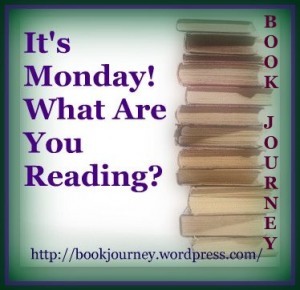 Looking forward to seeing what you think of your reads this week.